... at least, that's how I think you say it en Espanol. 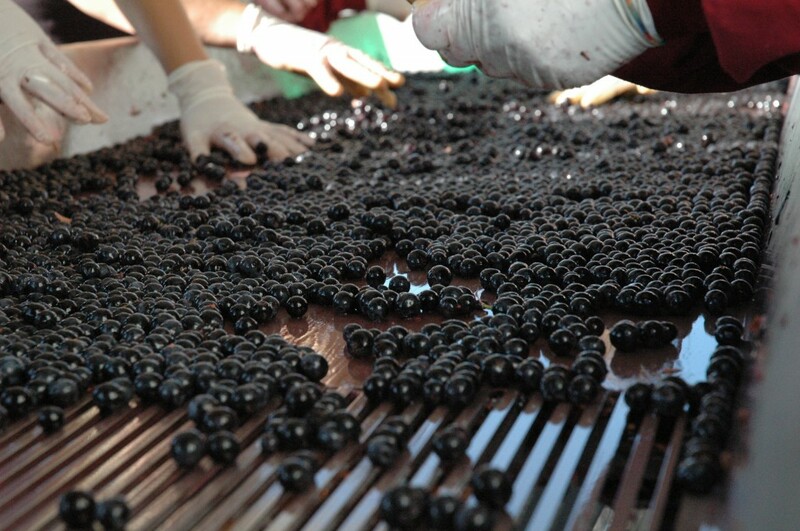 Cristina Callejo, of Bodegas Felix Callejo, just sent these pix of the crush starting yesterday at their winery in Ribera Del Duero, Spain (Burgos, to be more specific). 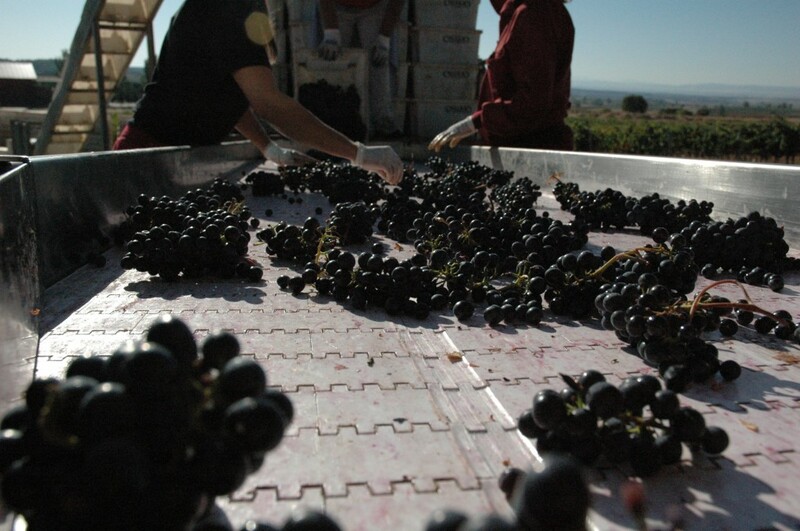 "Extraordinary quality grapes!" says Cristina. No doubt. Ribera is one of my favorite wine regions at the moment, for the fascinating variations in terroir and winemaking styles all with one grape (tempranillo, almost exclusively). 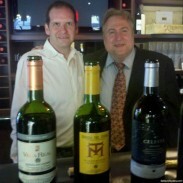 And within Ribera, Felix Callejo is undeniably one of the best. So, if you still have a vision of peasant women stomping grapes a la Lucy...sorry to burst your bubble, but they don't really do it that way anymore. Thank goodness. And here is Noe Callejo's own blog...lots more cool pics! 3 x 4 = ?